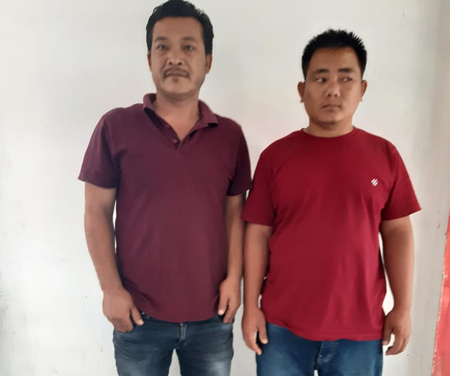 ITANAGAR, Feb 7: Claiming that no action has been initiated against the officials involved in the alleged misappropriation of funds meant for the construction of an auditorium/community hall in Liromoba under the 2016-17 SIDF despite the expiration of a 30-day ultimatum, the Kargu Kardi Students’ Union (KKSU) in a representation to the West Siang deputy commissioner on Wednesday threatened to resort to democratic action if their demand is not met at the earliest. “The ultimatum expired on 4 February but no action has yet been initiated from the office of the West Siang deputy commissioner,” the union said. It requested the DC to constitute an inspection team headed by any executive engineer from any department, “except the DRDA and the PWD Yomcha division,” and including a KKSU member, to conduct spot verification of the project site and furnish the verification report before 25 February for forwarding to the chief secretary.